About 2 months ago I went live to share my favorite new social media technique, Facebook Messenger Bots, with the rockstars in my community. I had no idea it would end up being one of my most viewed videos and have such a seriously crazy level of organic reach and engagement. The numbers on the surface look great, but when I first saw the numbers on the backside of this video, I have to admit… my mind was blown. 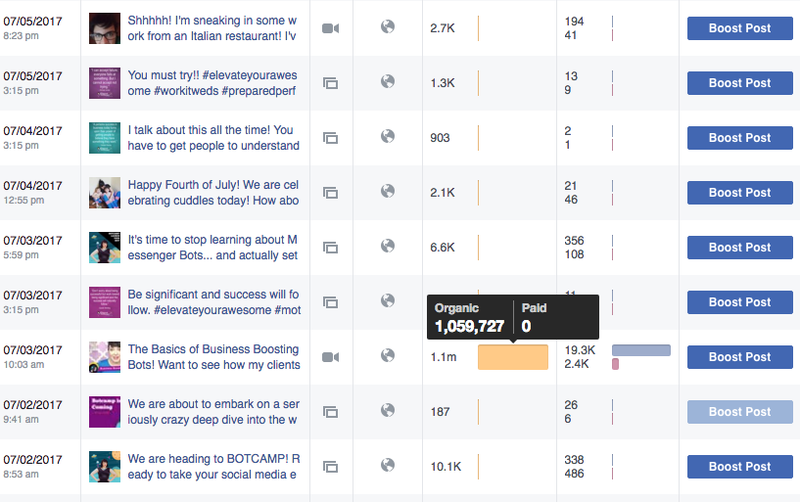 I've never had a post receive this much “organic reach.” I saw the stats on my phone and thought… WHAT!? So, I quickly sent a screenshot to my assistant, ran to my computer to check there, and then continued to check every day for a few days. I had been implementing a new messenger bot strategy that had been working well, but this was way more organic reach than usual. Here is a summary of the official stats. This is the reach of all of my posts from the beginning of July. Here's details on this specific video. I knew it had better reach than most, because we surpassed 200 live viewers for the first time ever. What!!?? 224 to be exact! I also knew it had been successful because I welcomed in several new students who opted in for more info during this video… YAY. But, while reach is not always a number I track or follow, the final organic reach of over 1 million people is what really blew my mind. There is a clear system that I used to create this audience size and I can't wait to share it with you. I used two tools, www.Belive.TV and www.ManyChat.com, to make it happen. In this post I’ll take you through every step I took to create massive organic reach for my Facebook Live Video. I hope you can use these tips to create massive reach and engagement for your next FbLive Video, too! Who are you as a person and as a brand? 2. CREATE A PRE-SCHEDULED FACEBOOK LIVE VIDEO THAT PROMISES LOADS OF VALUE. There are a few tools that allow you to create a pre-scheduled Facebook live. Belive.TV is my favorite. Others include Wirecast, OBS, Zoom Webinar, and eCamm Live, if you have a MAC, or even directly on Facebook if you have a business page. Here's what the pre-scheduled Facebook Live Video will look like. Make sure you know who you are speaking to and be clear about that in your post copy. Know what problem you are solving and be clear about that in your post copy. Ask your followers to comment below the post with a specific word if they’d like access to the training. 4. 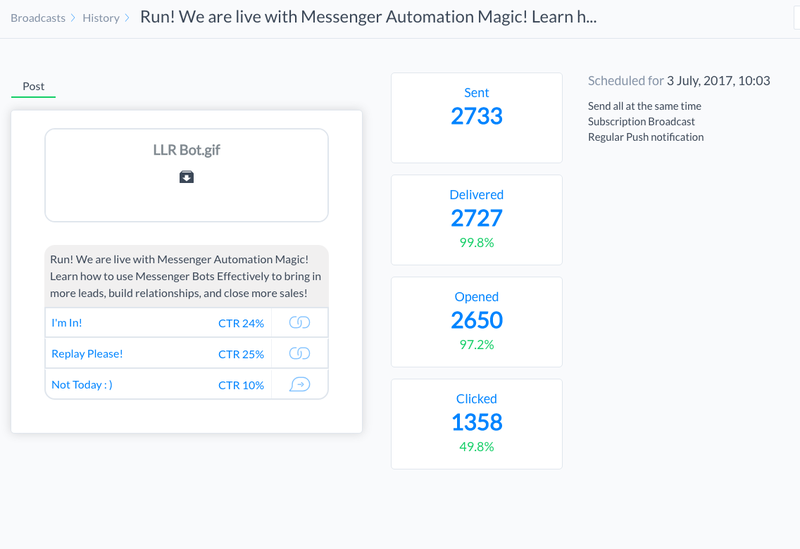 CREATE A “FACEBOOK COMMENT GROWTH TOOL” AND “KEYWORD RESPONSE” USING MANYCHAT. 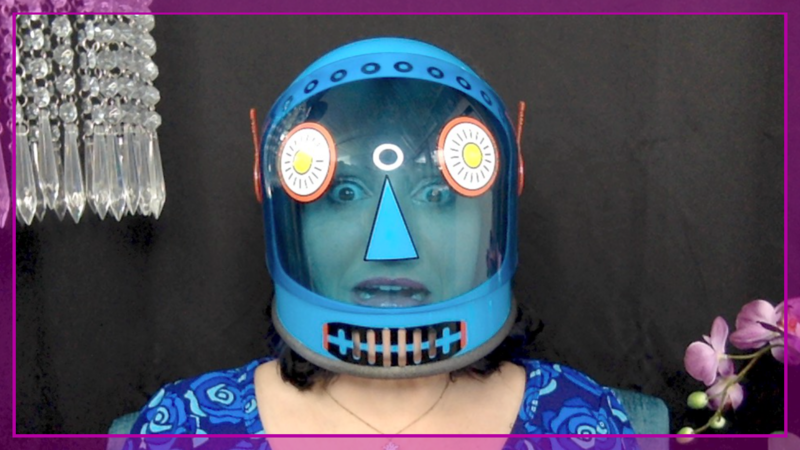 This is where the magic happens… so take a deep breath, and read this post if you are afraid of bots taking away from the “human-ness” of your connections. Register for a ManyChat account and connect it to your Facebook Business page. 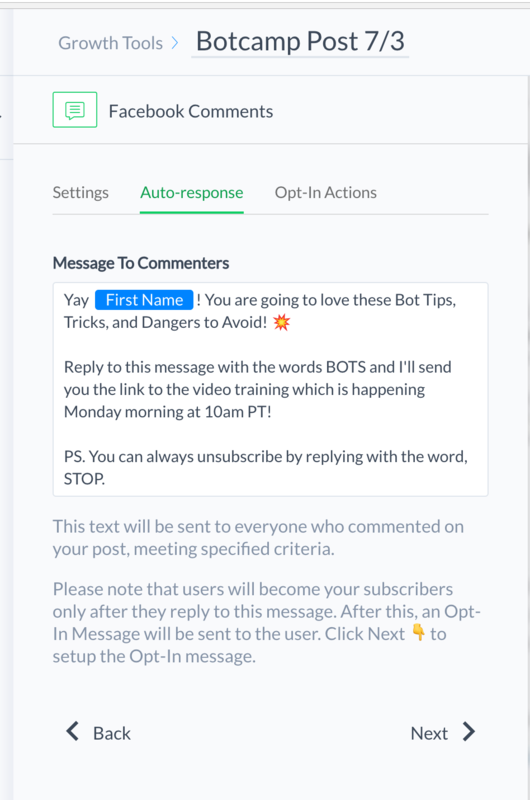 Even with the free version, you'll have the ability to connect any Facebook post to a “growth tool” that will automatically respond to a specific trigger word comment. Create the Facebook Comment Growth Tool that automatically responds to their comment with a message. Be sure to tag them in ManyChat with a label that lets you know they want to be reminded. Here's the Growth Tool I used. 5. 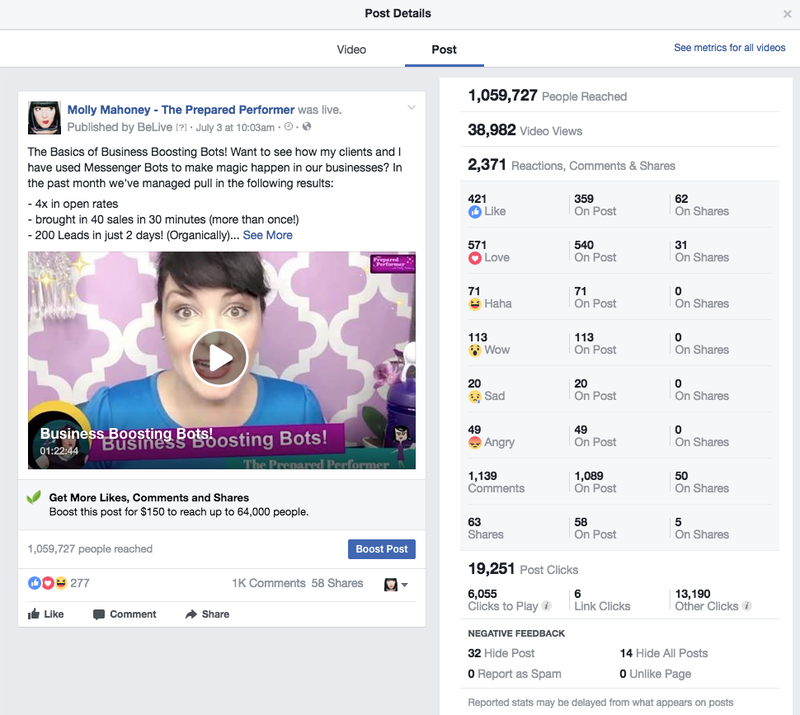 CREATE A TARGETED FACEBOOK AD WITH THE POST. *** This is a Ninja Tip – Before I tell you what I did here, let me explain why this is so cool. You are NOT allowed to boost a Facebook Live broadcast before it goes live or even while it is live. I think this is because Facebook wants a chance to review the video content and check for music and other potentially illegal content. HOWEVER – you are allowed to boost a Facebook post that offers access to the link via a messenger bot. This is a seriously awesome workaround that allows you to promote your live video content before it’s live. When I did mine, I only spent a total of $100 dollars. I more than made that back in sales, and I welcomed loads of new connections! 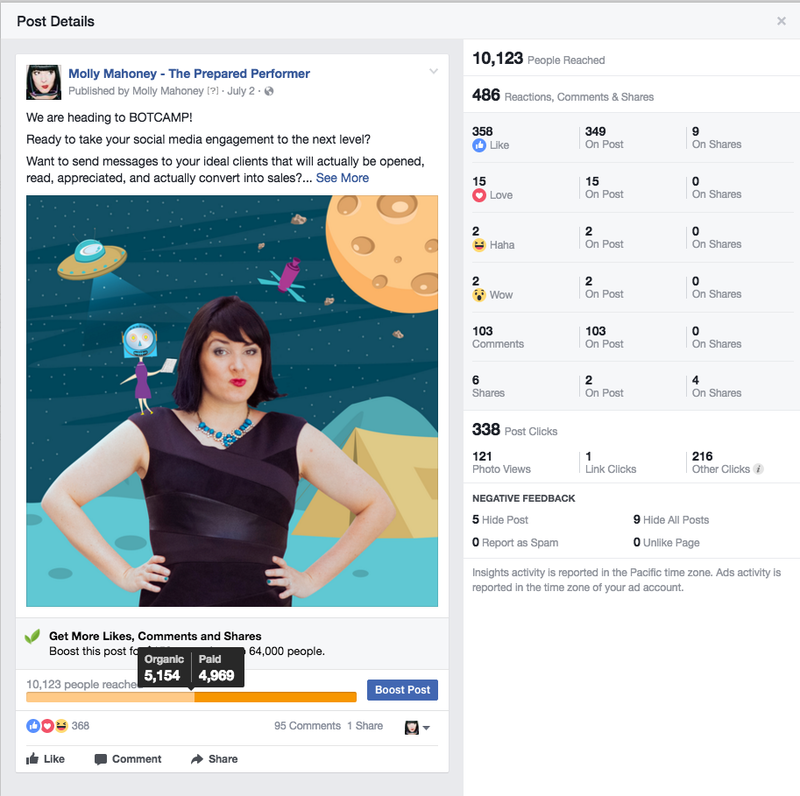 Create an “engagement ad” on Facebook. 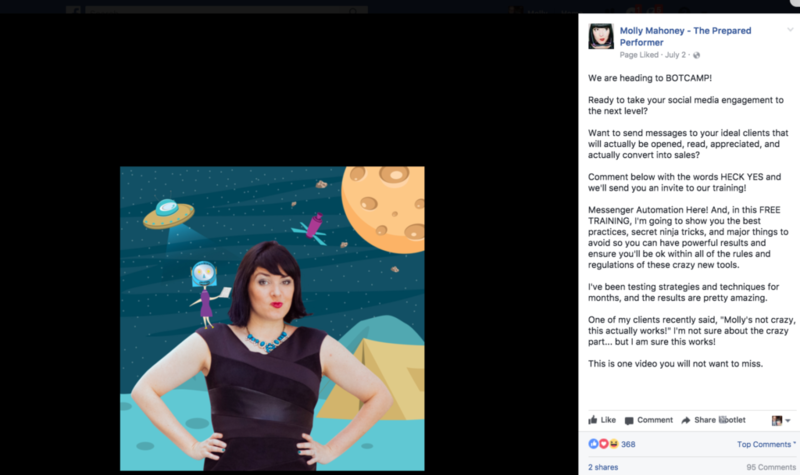 Select an audience that will be interested in the “free training” you'll be delivering via Facebook Live. Limit the delivery of the Facebook ad to ONLY THE NEWSFEED. The goal is to get people to comment on the post, so if it's in the sidebar or on Instagram, it won't work. Here's some of the details from my ad. 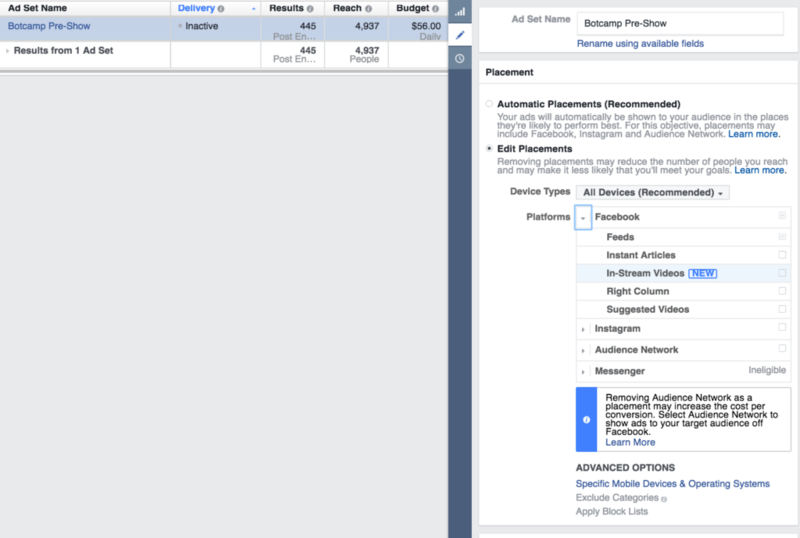 As you can see, I spent about $96 and I only allowed the ad to be seen in the Facebook Newsfeed. Here's the insights on this post. I love that you can see the organic and the paid reach. My goal is usually to keep the organic reach greater than the paid, and this one just barely made it. 6. SEND A BROADCAST VIA MESSENGER TO YOUR MANYCHAT SUBSCRIBER BASE WITH A LINK TO THE VIDEO. Don't be a salsey or pushy weirdo! Give them options! I always give my list the option to join live, get the replay, or pass on the invitation. This has drastically reduced my unsubscribe rate. Yahoo! Magic! Enjoy all of the viewers! While live, remember, you now have viewers who are eager to hear what you have to say! They are ready to share and I think this played a big part in why the reach and engagement was so great. I can't wait until you try this new crazy awesome strategy and test out your own results! Please let me know how it goes for you! And, in case you'd like to up-level your skills while you are live so that you can welcome in new connections and clients, join us for our upcoming live video masterclass! www.LiveVideoMasterclass.com. I'd love to keep the ninja tricks flying at you! I must be missing something, why do you promote to be notified when you are “live”? You are actually promoting access to a valuable upcoming training. You don’t mention that it’s a Facebook Live. Molly, thank you so much for this. One question: it’s not entirely clear where the FB Ad link goes to. Is it going to a BeLive page? Hi Hannah! Thanks for your patience in waiting for my reply! 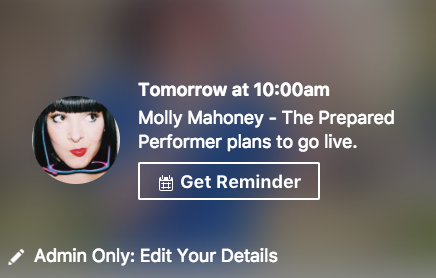 It’s going to the pre-scheduled fb live link. You can get that by clicking on the time stamp for the post. One question though please – how long before the live do you set the ad running? Ooo just a few days!